The process of moving out and into a new place can be very frustrating. It usually requires a lot of time and effort, which many people are short of. Fortunately, you don’t necessarily have to try and cope with everything on your own. You can simply call our professional company and order our man and van services, that will deal with the problem for you. We are an experienced company, which is specialised in helping people to move their belongings from one to another location in the safest and most professional possible way. We have been functioning for many years throughout London and its surrounding areas, offering high-class man and van services to our large number of customers. We have always made sure every clients of ours is satisfied with our service. This is how we have become an extremely reliable company with a great reputation in the city. Our staff is professional and has many years of experience, dealing with moving services. We have done our best to find the most trustworthy and motivated professional in the sphere and have hired them in order to guarantee excellent work and timely completion of every task. 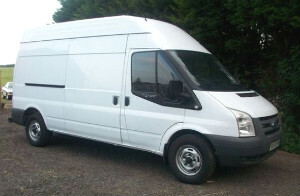 In our company we understand how important it is to our customers to have the moving work done securely and on time. We achieve this with ease thanks to the skills and professionalism of our employees. Our man and van options are among the most appreciated professional services on the market. We pride ourselves in our excellence and devotion and the fact that we are considered one of the most reliable companies in the industry. Our mission is to give our clients convenience and we do it with pleasure. You can find us any time, including on weekends and bank holidays, and we will book an appointment at a time that is most convenient for you. Our team will arrive to your place on time and make sure you are happy with our service.